Helping Dad is a large part of Morgan&apos;s life. Here she patiently holds a screwdriver while he works on "another" project. &apos;Tis a boat after all. 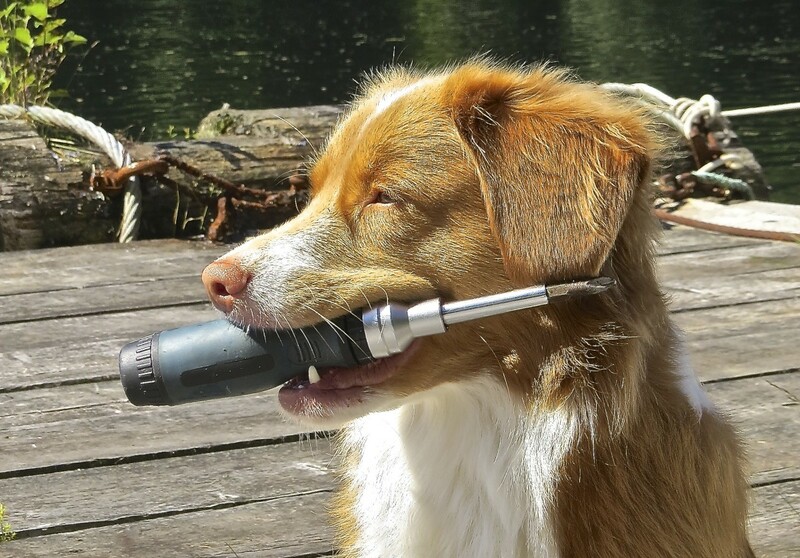 Morgan is a Nova Scotia Duck Tolling Retriever and loves to lend a hand or mouth whenever she can. 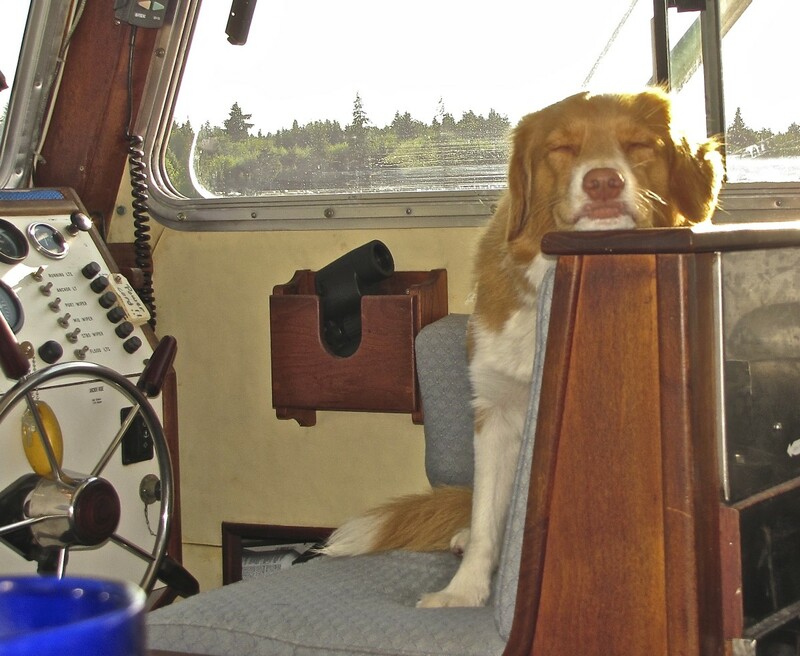 A large part of Rick and Caryl Darling&apos;s lives, she is an active young Nova Scotia Duck Tolling Retriever who brings an immense amount of joy to their lives. Aboard the M/V Leta, a 31 foot pleasure boat built by Marben and cruising the waters of British Columbia. 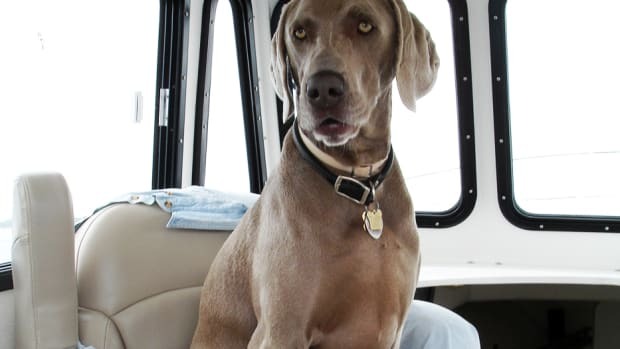 She is an integral part of the crew. 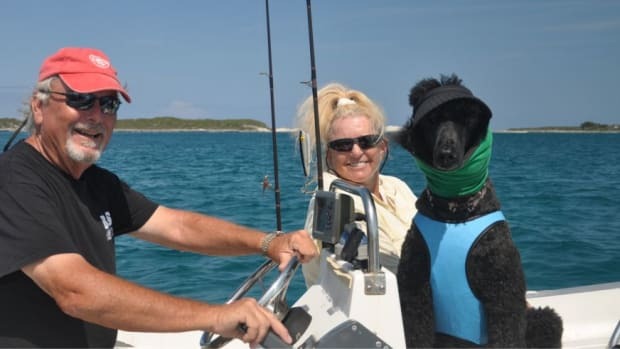 Most Pets Aboard entries are now eligible to become contest finalists.ICOM, which makes marine VHF radios and navigational electronics, has agreed to sponsor our first ever Float ’n’ Fetch photo contest for dogs. 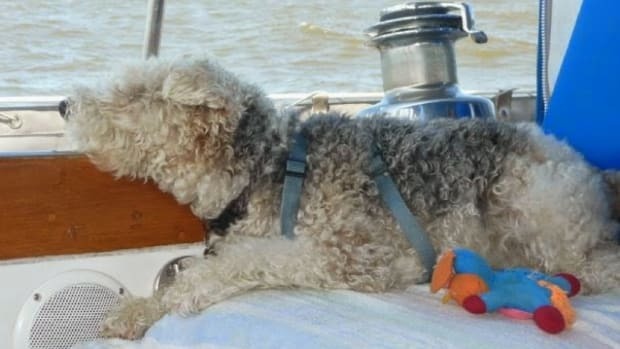 First prize is an M92D handheld VHF; second prize is an M36 handheld and third prize is an M24 handheld.To be eligible, the photo must consist of a single dog in a nautical setting. Use the high-resolution setting on your camera. 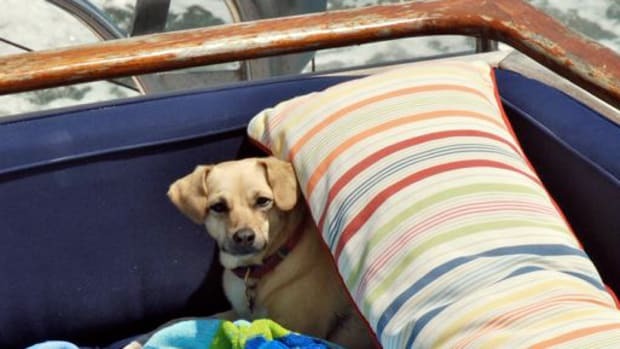 Pets Aboard will continue to welcome photos of seagoing cats, multiple mutts and pet owners with their animals, but for contest eligibility a single dog is the rule.The reason is that readers are going to help select the finalists, and we wanted to ensure a degree of basic equivalency—a level playing field.Here’s how Float ’n’ Fetch will work. 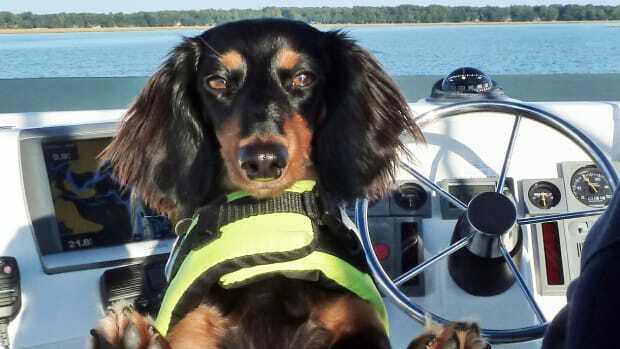 We will select shots of dogs from all Pets Aboard entries received over the past year and from now on until the deadline for entries, which is Nov. 1, 2014. We will pick 30 images.These 30 images will be posted on the website on an interactive page that will allow website visitors to vote for their favorite photo. 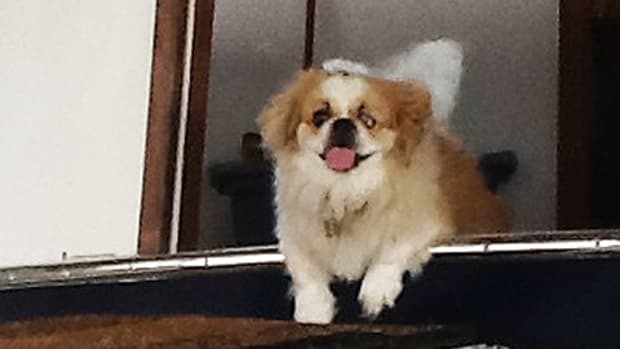 Then we’ll pick Float ’n’ Fetch winners from the top vote-getters after a month of balloting. 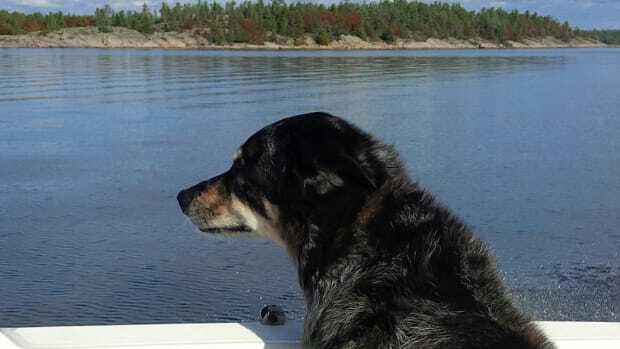 Winners will be announced in a subsequent issue of PassageMaker magazine and then online.To enter the Float ’n’ Fetch contest, send your dog’s picture via email to editor@passagemaker.com. 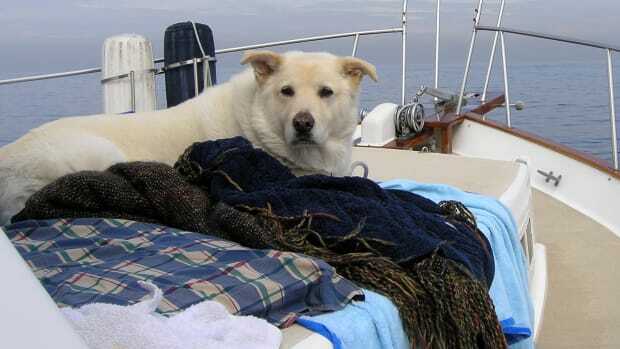 We will continue to accept cat photos and pictures of multiple dogs and dogs and owners for Pets Aboard, but only images of single dogs in a nautical setting can advance to the Float ’n’ Fetch finals.Be sure to include the names of the human companions, the make, model and name of boat, homeport, and a paragraph that provides context for the image or describes what makes your pet special. And remember we need that image in high resolution to be able to print it in the magazine. To enter, submit at least one photo and all requested information toeditor@passagemaker.com. Entry must be accurately completed or will be voided. Limit 1 entry per person and email address. Duplicate entries will be removed and disqualified. 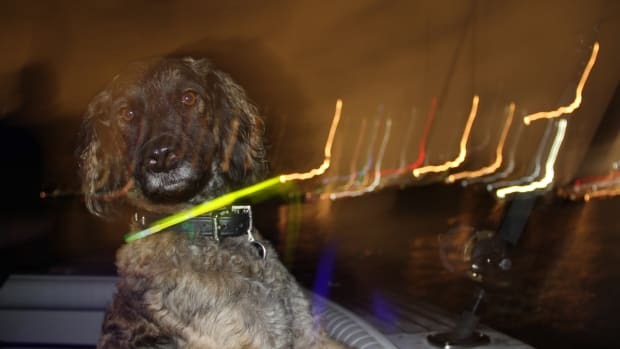 The Float &apos;n’ Fetch photo contest is open only to legal and current residents of the continental United States and Canada, who as of time of entry are 18 years of age or older. Void where prohibited or restricted by law. Employees of ICOM or AIM Media, their respective parents, subsidiaries, affiliated companies, and agents, and foregoing employees’ household or immediate family members (defined as parent, spouse, child, sibling, or grandparent) are NOT eligible to enter the contest. One vote is permitted per person and IP address per day.